What is education? It depends on who you ask. For some, the goal of education is to create well-rounded individuals capable of critical thought. Others see it as a necessary prerequisite for participation in democratic government. Traditionalists will tell you that education is about forming moral character. Meanwhile, more pragmatic minds understand it to be a process of merely preparing children for the workforce. It’s fortunate that there is no need to settle on any one definition of education, because it is simply impossible to do so. In a nation of 330 million people hailing from all corners of the earth, there is no ‘objective’ perspective on education – heck, we can’t even agree on what our Constitution means! This has always been a nation comprised of diverse communities, and with the richness of diversity comes a host of different, and even contradictory, notions on what actually being educated is all about. Does it mean learning accepted forms of behavior? Or does it mean trying to open minds? Maybe the whole point all along was to keep minds in check, while being taught useful repetitive skills. The current noise over the elevation of STEM subjects is a case-in-point. While coding is undoubtedly one of many important skills one might use out in the job market, we shouldn’t forget that the entire vision of the Internet and what it was built on was shaped by the counterculture – by creatives who embraced the arts, who were thinking about societal forces and how to effect positive change. But in order to change the world, you first need to think differently, and the humanities are in charge of that. Another example: the huge shortage of skilled laborers. Students seem to believe that a college education is necessary for success in life – but high-school grads who go into welding command a $55,000 salary at age 18. Bill Gates funds reforms aiming at “college-ready education for all.” Yet would it be a good thing if everyone went to college and studied esoterica and no one could fix anything? Can any of us say what the balance between tech and the arts or college and employment should be for future generations? What’s certain is that, if you take diversity seriously, it’s clear that unique communities have unique needs, needs that are sometimes best understood from within the community. When it comes to education, things are no different. The people who are often best equipped to make choices about the educational needs of children are locals. And it doesn’t get any more local than the parents themselves. That being said, not all parents are equipped to navigate the complicated systems, misinformation, and school board politics that are in place today. Otherwise we wouldn’t be suffering from the 21st century resurgence of certain infectious diseases and the endless arguments over morality in curricula. In any case, culture, local or otherwise, plays a big role in all this. At least, this is what Americans believed when the French aristocrat Alexis de Tocqueville visited the New World in the 1830’s. His peers in Europe would have had him think that average people were incapable of leading independent lives. Europe, after all, was the land of class privilege, a place where the “nobles” made decisions for ignorant serfs who couldn’t be expected to know what was best for themselves. Long live the King. It almost goes without saying that de Tocqueville was in for a wild ride in the U.S. and was simply amazed at what he found. 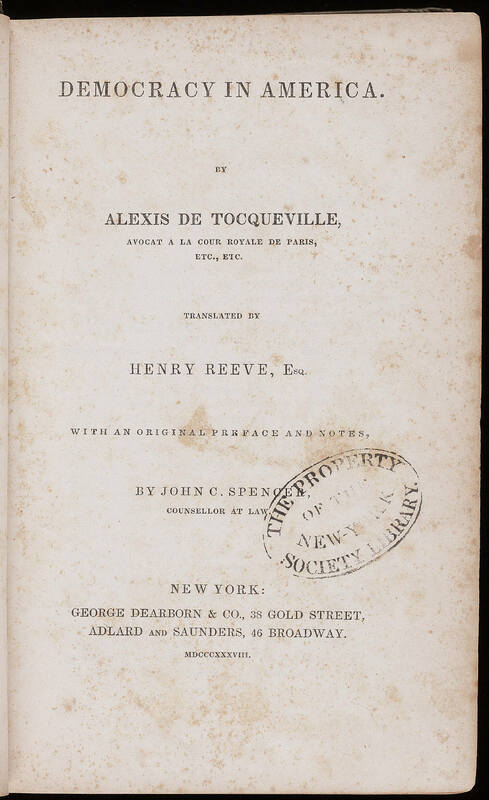 Expecting to find unruly peasants, he cast the average settler as “a highly civilized being, who consents, for a time, to inhabit the backwoods, and who penetrates into the wilds of the New World with a bible, an axe, and a file of newspapers.” Amazingly, de Tocqueville found no ignorant Americans, even in the backcountry. Let that settle in for a moment – a European was impressed by how well-educated Americans were! Even more difficult to imagine is that there were no national standardized public schools in de Tocqueville’s time. Americans learned at home and in locally organized, one-room schoolhouses – and learn they did. Best-sellers of the 1840’s included tomes such as The Last of the Mohicans, The Count of Montechristo, and The King James Bible – literally a Godsend when your only alternative is staring at the fire and drinking corn whiskey. Yet today, only 12% of Americans have the complex literacy skills needed to make sense of these dense works of literature – let alone the law. What’s more, Americans in the 1840s attended schools paid for by people who earned an average of $2,915 a year in today’s money. Not only did this bottom-up approach work, but it brought people together, for, in de Tocqueville’s approving prose, “Sentiments and ideas renew themselves, the heart is enlarged, and the human mind is developed only by the reciprocal action of men upon one another.” Yet this was a very different type of coming together than the standardization that has become typical of the modern period. In an interesting paradox, when communities are strengthened, they can very well diverge from their neighbors. This was a time, after all, when politicians had to speak of These United States every time the national government in Washington had to compete with the township for any citizen’s allegiance. Townspeople used schools to impart students with their most cherished values, and often, these clashed with those of the ruling party. Things like scheduling classes to accommodate children of farmers who were tasked with participating in the harvest, religiosity and school prayer, as well as methods of discipline; all things peculiar to local cultures which were in the way of standardization. Rockefeller’s G.E.B. was just one of a number of industrially-funded ‘charities’ that brought standardized public schools to America. In fact, the very first school Board of Education, headed by Horace Mann in Massachusetts, acquired funding for its teacher’s college from industrialist Edmund Dwight. 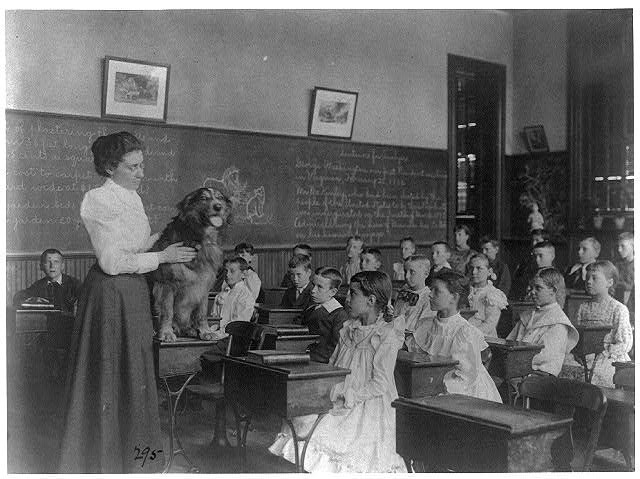 At the time, critics warned that the Board put “a monopoly of power in a few hands, contrary in every respect to our democratic institutions.” They would doubtless have thought the same of ‘The School and The Schoolmaster,’ a pamphlet published by a New York philanthropist alerting schoolmasters to the fact that, “female teachers would be the cornerstone of a ‘cheap system,’ since even the most talented women would be willing to work for half of what men of the ‘poorest capacity’ would demand.” Thank goodness for philanthropists! 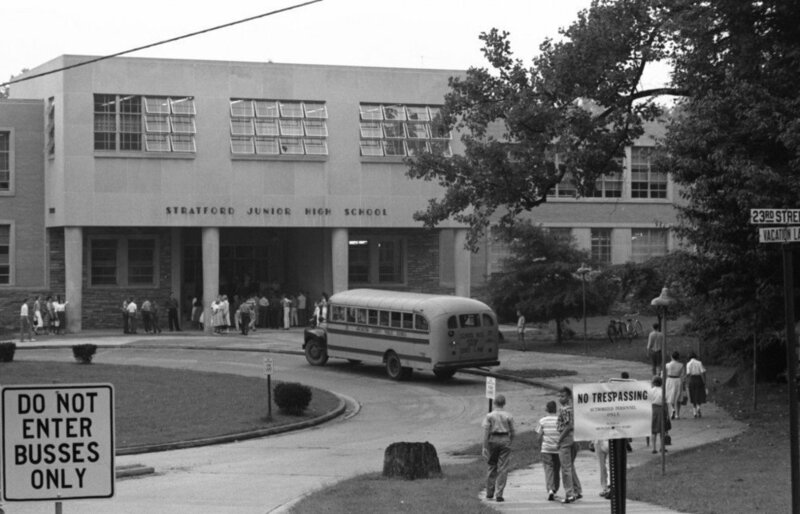 Following their lead, schools were stripped of their local character and brought to heel under the watchful eye of politicians in state capitals and, increasingly, Washington D.C. The policies were cloaked in the rhetoric of compassionate, scientific management and schools introduced a manifestly European social ideology to the New World: ordinary people just can’t be trusted to act in their own best interest. Leave that to the progressive elite. The technocrats. Because this is an American history, it’s also worth noting that the elite trusted foreigners and minorities least in this regard, and saw public schools as an opportunity to engineer away their habits. This often didn’t go as planned; the Philadelphia Bible Riots of 1844 saw mobs of Catholics and Protestants burning books and buildings as they battled over prayer in schools. A battle that continues to fought over and over again. Over half a century later, Jewish and German families in New York took to the streets to protest progressive teaching methods of that year’s education policy trend, aka The Gary Plan, claiming that their children were put on intellectual “half rations,” that they were being schooled, without being educated. Methods similar to some of those being taught in charter schools today, and to much ridicule. 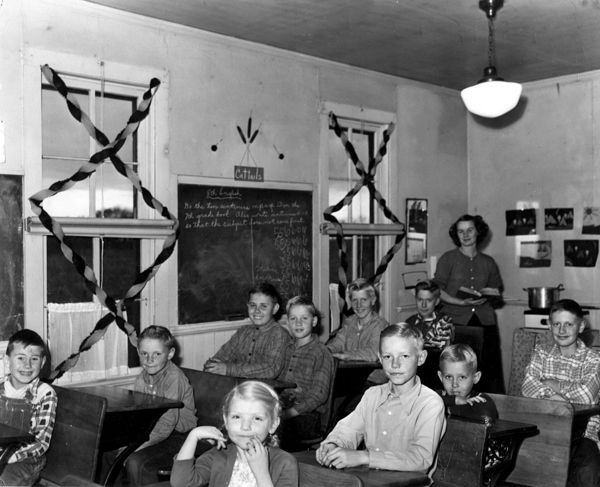 More disturbing were claims made by forced schooling advocates that “school must fill the vacuum of the home, school must be life itself as once the old household was life itself.” For as long as people have lived in permanent settlements, the household has been the focal point of cultural and moral traditions, the place where new generations learn to make, to craft, and to serve. Culture itself is a creative venture, the result of local attempts to sew, draw, sing, and carve. An education divorced from these elements is like a ship without its rudder. Citizens with no culture of their own soon find themselves shambling into shops to buy the feelings that once sprang up naturally. Imagine if you could do that without even leaving your house? Thanks to standardized schooling, corporate America was no longer hampered by the local values that once colored the nation’s cultural landscape. The character education of the one-room-schoolhouse was in many ways replaced by indoctrination into the secular cults of nationalism and consumerism; public schools were to be the great Americanizers of foreign immigrants. Students, taught in batches by age, graduated both as model workers and model patriots. They were trained in submission before arbitrary authority, and were accustomed to repetitive, time-consuming tasks. Schools even imported factory bells they used to make it easier for managers to control production lines. Today, the bell has rung on one-size-fits-all schools. In a nation where 44 million parents can’t read a bedtime story to their kids, people are waking up to the fact that there is no one-size-fits-all approach to something as complicated as education. Even public school advocates agree that the system is broken. The question now is, how can schools be reformed? Can we escape their corrupt origins to build something worth saving? Since education has become a standardized government service, it is sadly subject to the vagaries of politics. This is truly a tragedy, when children are in ways beholden to the same system that elected Trump for their knowledge (or lack thereof) of civics and economics, as well as their character formation. There are some who say that this isn’t in itself a problem, that so long as the “right people” win office, politics can be a powerful tool for change. Unfortunately, this optimism overlooks the fact that powerful tools can be used by the wrong people; executive orders that once welcomed immigrants to college and a path to citizenship are now used to build walls to fight imaginary national emergencies. In the world of education today, competition to public school systems can come in many forms, including homeschools, private schools, and charter schools. Yet for the poorest families, the first two options are often off the table – homeschooling takes time, and private schools take money. Essentially, in this system, only privileged children have an escape route from a bad school. And if public school students have to go to the local school anyway, why should any superintendent embark on a risky and challenging program of change? Yet education itself can be abused as a system just like any other system, especially when politics, power and money get involved. 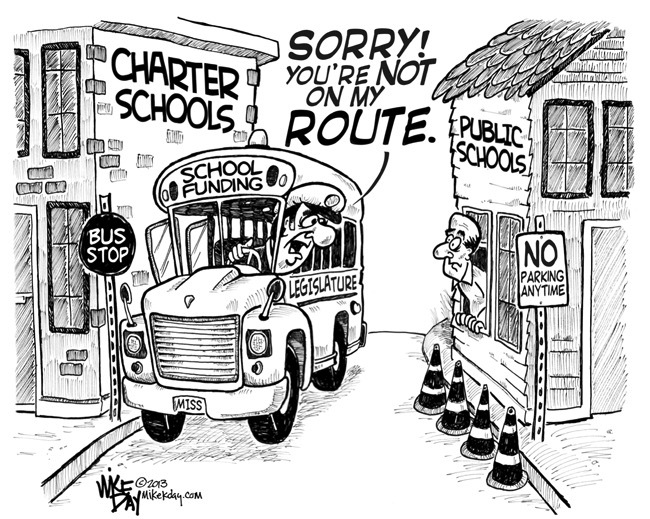 Hence, the problem charter schools are meant to solve – how to empower the poor to make decisions about the education of their children, and through those choices, change public schools for the better- has been a false choice. Charters are still a public option – they compete with traditional public schools for students and their tax money, giving a selection of parents (mostly urban) the option to try something new if the current institution isn’t working for their child. Of course, some charter schools are great, yet some are downright failures, just like other public schools. There is no one-size-fits-all solution to education, and there is certainly no perfect school. Yet a system of many institutions, each competing for the approval of students and parents, has a greater chance of discovering the best way to teach than one, bureaucratically administered structure. It’s certainly more likely to impel public schools to change than the uncertain and unlikely possibility of a political transformation – besides, just take a look at our politicians! They’re the last people anyone should want in charge of education. Americans have a habit of moralizing that can make issues like education difficult to discuss. It’s not that the people running charter schools are in any way better or worse than school superintendents – there’s plenty of corruption to go around, and plenty of goodwill, too. Change is always a tricky process, and when the current system is broken it can be an excruciatingly painful one. Sometimes, bad schools need to fail so that good ones can thrive. Yet if community members withdraw support for a school, what exactly does that say about that community? If they don’t figure it out for their students, its likely a corrupt institution will.